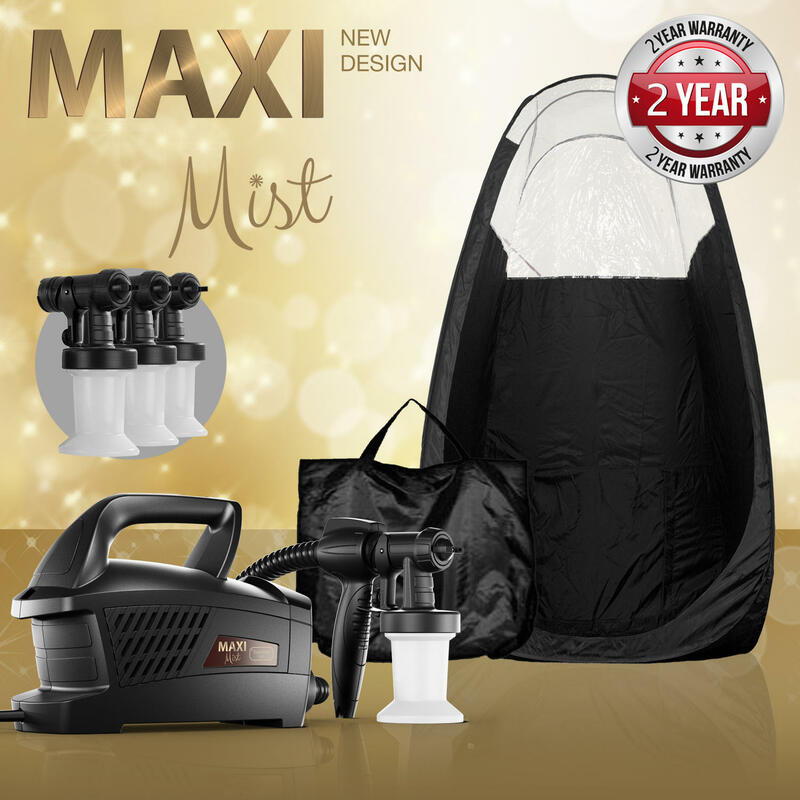 The MaxiMist Evolution TNT kit is the perfect unit for the mobile tech or salon that demands performance and unsurpassed dependability. ‘Clear View’ vinyl windows at shoulder height to allow more of the rooms lighting in while maintaining a level of privacy. “Black” color fabric.Unlike other colors that are now offered by other companies (blue, yellow,pink etc) our fabric will NOT dis-colour or look dirty only after a few applications. Leak proof stain resistant floor. Extraction fan opening in the rear. We now use a “Low Memory” spring steel that supports the room without sagging but is easier to coil back into the collapsed circle configuration for storage. Tent comes complete with Carrier for easy storage and transporting.